Why Dr. Powell Nominated Nigel: (a) Nigel is a coauthor of a paper that was recently published in Journal of Cluster Science, an international peer-reviewed chemistry journal. (b) Nigel is an excellent presenter of his research results. 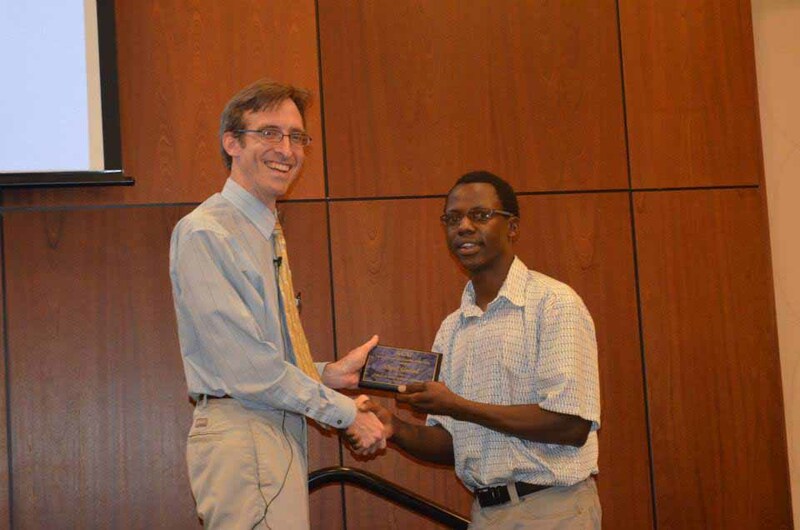 He was awarded FIRST place in the undergraduate division of the 2012 Meeting-in-Miniature of the American Chemical Society DFW Section at the University of Dallas. (d) Very few ACU undergraduates have spent as much time doing research as Nigel has. In addition to spending many hours a week on research during five different semesters, he has participated in both the 8-week Summer Research Institute within the ACU Department of Chemistry & Biochemistry and the 10-week Summer Undergraduate Research Fellowship Program at the University of Texas Southwestern Medical Center in Dallas.